She'll make it happen . . . You make it home! Because of her love to work with and help others Carol is an Active Member of the "Be The Match" National Marrow Donor Program which helps people with life-threatening blood cancers like leukemia and lymphoma or other diseases, a cure exists. Be The Match® connects patients with their donor match for a life-saving marrow transplant helping to cure blood cancers and save lives across the globe. Thank you for taking the time and effort to present our home in such a wonderful way! We are thrilled with the response so far and are very pleased with your description and photos. Your dedication shows... and we are very grateful for that. Thanks again for all your hard work! Carol, I wanted to say that I really appreciate all of your help and encouragement. 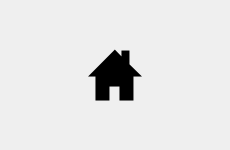 I have been in my new House for two weeks now and never could have found a house without your help. "Thank you so much" and may God bless you. YOU ARE A VERY GOOD REALTOR!!! Carol was obviously on top of her game the second we met about the house. Our first meeting with her stats under her arm and ready to talk numbers. Carol put me at instant ease with her knowledge of the neighborhood, and her thoughts on the sale of the house. I knew immediately that she was my Agent. I can't say enough about Carol's character. Amazing person! I would work with her any time. She was absolutely fabulous throughout the entire process. Talk about savvy! Almost every time a negotiation came around, it seems that she just made me more money and more money and more money!!!!!! Absolutely professional. The whole experience was great. My husband Mike, myself, my family & and friends were so impressed. We will never use anyone else to sell property but Carol Holloway. Thank you for everything!! Your entire team ROCKS!! Ms. Carol Holloway is sweet, patient, understanding and all of the above. She was there to encourage us when we were giving up after looking for a house for about six months. I'm very proud of her she's not just an agent not even a friend she's like family to us now. Everyone in the family knows her name. 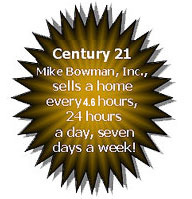 And from now on whenever someone we know wants to buy a house they're going to call Carol at CENTURY 21 Mike Bowman. We couldn't have done it without her. Carol, I have always enjoyed working with you and hope to do so for a long time. Thank you for all of your help with everything and all the work you put into this. You're amazing! Thank you Carol for everything. You have been AMAZING to work with again!!! I've already given your name to a few more people that are thinking of buying in the near future, so you should be getting a few calls. You're the BEST! Until next time! Thank you Carol! You're the best to us!!! We are so glad we found you:-) We have learned a lot from you. Thanks Carol. You did a beautiful job and were on top of everything at all crazy times of the day!! Lol\ ! Your guidance and excitement through the sale of our first home was so appreciated. Our new home is coming along beautifully! It still feels like a dream! Sending a big thank you your way! I will definitely be sharing your name with others if ever the occasion arises. We love our new home! I know you could hear the fear in my voice and emails as we searched Arlington for the right fit and kept coming up a day short on the perfect find! I had driven hundreds of miles searching and made so many calls to realtors and property managers; many said they'd call me back - most of them didn't even return the call. Then came Carol!! and BOOM - Done! Fear gone, and calm and caring took over! It was like you were inside my head without even meeting me and you lead us to our perfect place. I told you we have a Great Dane, and you even remembered his request for a big back yard on our "Got to Have" list! But seriously Carol, the time you took; the late night emails assuring me you were in constant contact with the home owner and everything was going to be ok, will never be forgotten by John and me. We are so happy here and look forward to relaxing in our shaded backyard once I get all the boxes emptied! Carol is a very professional Lady, She is a REALTOR® not a real Estate agent, there is a difference, She goes that extra mile for her clients explaining the buying or selling process from start to finish, She plans her work and works her plan, That's why she is successful in the Real Estate Business, I highly recommend her for the Buyer or Sellers Real Estate needs. You are so sweet and are such a blessing. I always walk away from our conversations with a brighter perspective on life. I hope I touch people's lives the way you touch mine. We can't thank you enough for helping us to sell our home in record time. The person who referred us to you sure knew what they were talking about when they gave us your name and said you were excellent. Getting an offer in less then 2 weeks was unbelievable! The custom marketing material you made for our Home was totally first class! We will definitely pass your name out to anyone wanting to sell or buy a home. When we are ready to buy another home, we will be giving you a shout for sure! 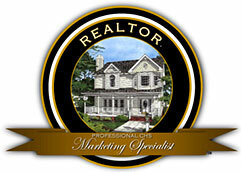 Carol - You did a fantastic job on Marketing our Home and the Virtual Tour is beautiful!! I almost wanted to put an offer on my own home! Out standing job!!! In complete honesty, you are the best realtor that I have ever worked with. Please keep in touch and thank you so much for helping us. I promise that when we are in the market for another new home, I will call you. You've earned it! Thank you all so much for all you’ve done for us...you and Steve have been amazing! It is such a pleasure to see a realtor give and pay so much attention to one of their buyers. You truly are one of a kind! Believe me, I have had many experiences with realtors and none, I mean none, can compare to you. That "little extra" that you do must bring you many referrals. I know I will be referring you out! Words aren't enough to tell you how much we appreciate everything you did in helping us to buy our first home. You made it all come together and gave us the faith and hope that we needed to keep going and never give up. When we pulled up to the house tonight, my husband got out and unhooked the gate and I could see him pointing at his chest and saying, "oh my gosh... it's actually ours", and I looked up at that house and still couldn't believe it really was. We both know that the good Lord truly put you in our path so that this would all work in such a miraculous way, and it truly has! Thank you for going far above the call of duty to make it happen as quickly and smoothly as possible. We both are extremely grateful! You're the best! I LOVE the virtual tour! It's the best that I've seen. You did a great job! It looks so nice, maybe we'll have to stay here. Just Kidding.